People of the Capricorn sign are of a stubborn character. Agreeing with them about something is difficult, always insist on their own. Communication with the Capricorns requires patience and endurance, but some of them pleasantly surprise with their responsiveness, willingness to compromise. The fact is that in Western astrology, one of the most important factors affecting the character of a person is the position of the Sun in the firmament at the time of his birth. The Sun in Capricorn creates a certain type of character, but the Chinese sign of the Zodiac brings its changes into it. Therefore, people of the same sign — Capricorn have distinctive features. Ambitious Capricorn people slowly but surely move towards their goal. From an early age, grandiose plans have been created, the implementation of which can take a long time, but they will necessarily be translated into reality. 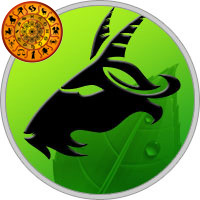 Capricorn is completely focused on his work, very responsibly approaching his job duties. From the people of this sign, intelligent leaders are formed who are devoted to their work. Do not succumb to temptations, do not like to take risks, due to their prudence avoid dangerous situations. Such a characteristic corresponds to Capricorn-Rat, in matters of caution, strives for stability and order in all spheres of life. Restrained, self-contained people of the sign Capricorn is often accused of callousness and dryness. They prefer to hide their thoughts, do not trust even a close circle. But with people who managed to win their trust, behave freely, openly share the most intimate secrets. Sincerely in their manifestations, honest and fair, they can be relied upon, they are reliable, loyal friends. Capricorn-Dog is an example of a devoted, noble attitude to close people, readiness for self-sacrifice. A sensitive, attentive person is devoid of ambition, cares about the interests of the family in the first place. Capricorn quite soberly approaches to the relationship, but is not able to resist the feeling. Love is a powerful stimulus, passion takes it out of the ordinary state of equilibrium. True, some Capricorns still prefer marriage by calculation, and not for love. The material component is too important to them, the value of goods is higher than pure, noble feeling. But a reasonable balance is possible, for example, the ambitious Capricorn-Pig strives to achieve material prosperity by any means. At the same time he dreams of a strong family, needs a reliable partner. Of the 12 possible combinations for the Capricorn sign, you can choose the desired option according to the year of birth.